This is indeed a record: A local dealership has closed off the "Autotage Hanover" with 78 new cars sold. The sales team was supported throughout the fair by Eberhard Groß, trainer and coach of HGS Concept. He has once again succeeded in using the total experience of this public fair to close sales. Visitors can experience the product first-hand with all of their senses - a significant competitive advantage, especially in this online age. The “Autotage” (Car Days) take place annually as part of the ABF leisure fair in Hanover. The event, which ran this year from January 29 to February 3, is considered the largest leisure fair in northern Germany. 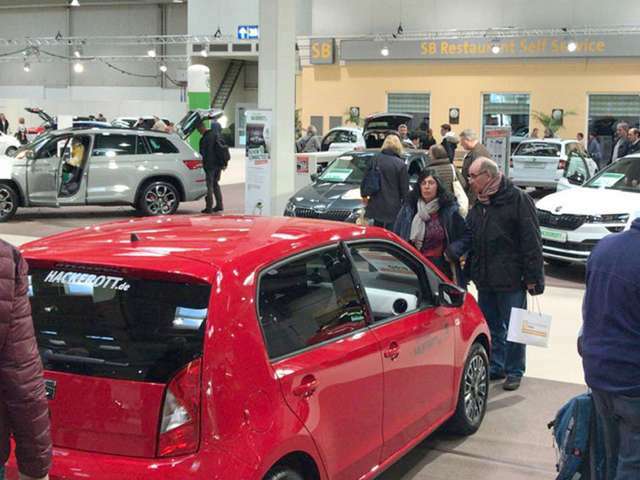 Groß estimates that in 2019 almost 100,000 visitors came, of which, however, only about 35,000 were specifically interested in cars. On the other hand, as a public exhibition the event offers a unique opportunity to reach a large pool of new customers. Experts estimate that up to 75 percent of all car sales contracts were signed with new customers. "The success of our sales team depended on finding among the visitors those who are open to exciting offers," says exhibition professional Groß. His recipe is as simple as it is proven: First of all, it was about coaching the promoters to receive the guests attentively and to engage them in conversation. The needs analysis is then followed by the transfer to a car dealership employee. Expertly advised, the guests can look at various models on site, get behind the wheel and also go for a test drive. Authentic buying experiences like this are becoming increasingly important to many customers. Eberhard Groß is not alone in observing a counter-trend to digitization and online shopping. As easy as shopping with the click of a mouse may be, it lacks the sensory impressions — the thud of the car door closing, the feeling of being in the driver's seat and the experience of driving the car on the road. As the HGS sales professional knows, this sensory "drive-through", especially in the car, the second most expensive purchase after an apartment or house, is a deciding factor for the purchase. "You can't take a seat inside your computer."